Just FYI. 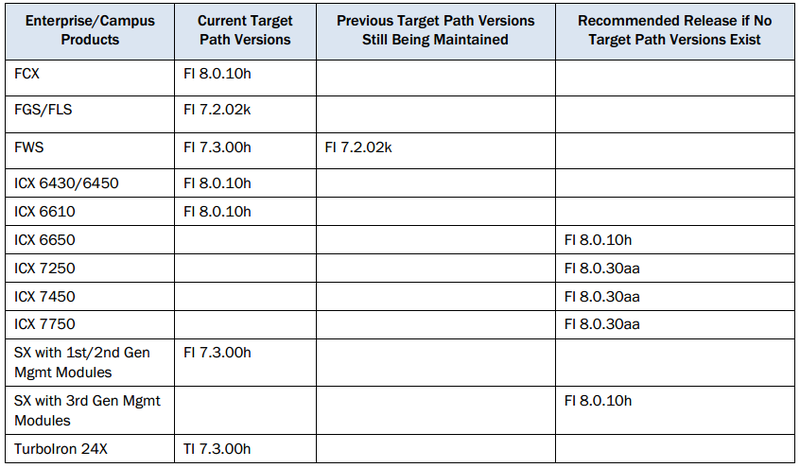 Brocade recommended firmware versions. 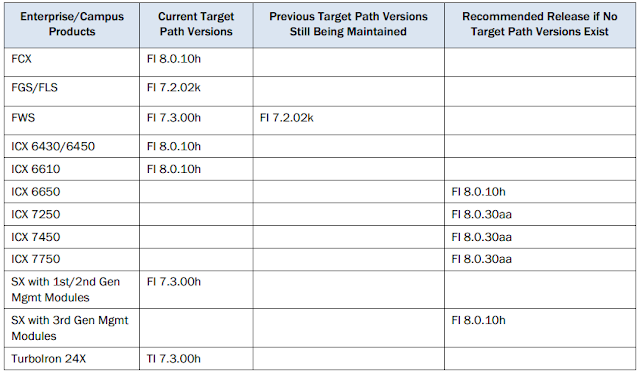 hi, I have 6 ICX7250 with version 08.0.30T211, is it newer or older than Fi 8.0.30aa? Not sure. Look at the date on the download page. In another post I had mentioned that my SE has recommended 8.0.30c for our 6450's. He told me that the C version is a big roll-up of fixes for the 8.0x code. I was using the 8.0.10h code and there are a few small problems. I noticed there is a bug with displaying sflow configs, that was how I was pushed towards the 30c version. Hope this helps.